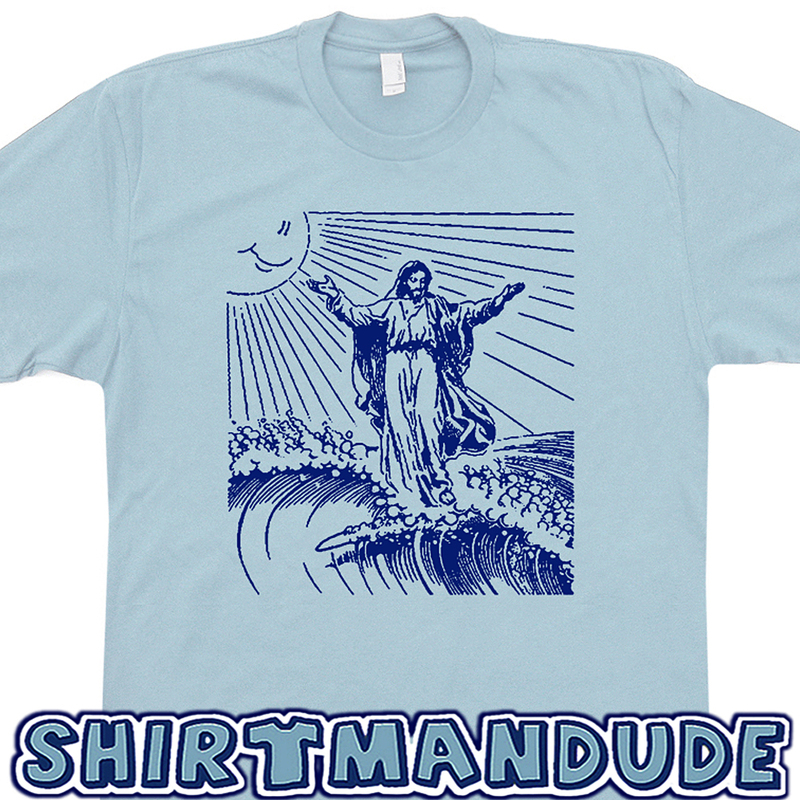 Surfing Jesus T Shirt. Cool Surfing Shirt. Vintage Surf graphic Shirt. 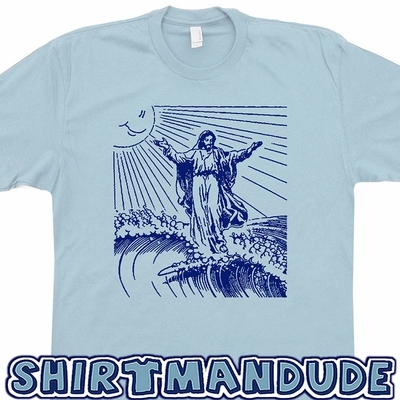 Jesus Surfing Tee. 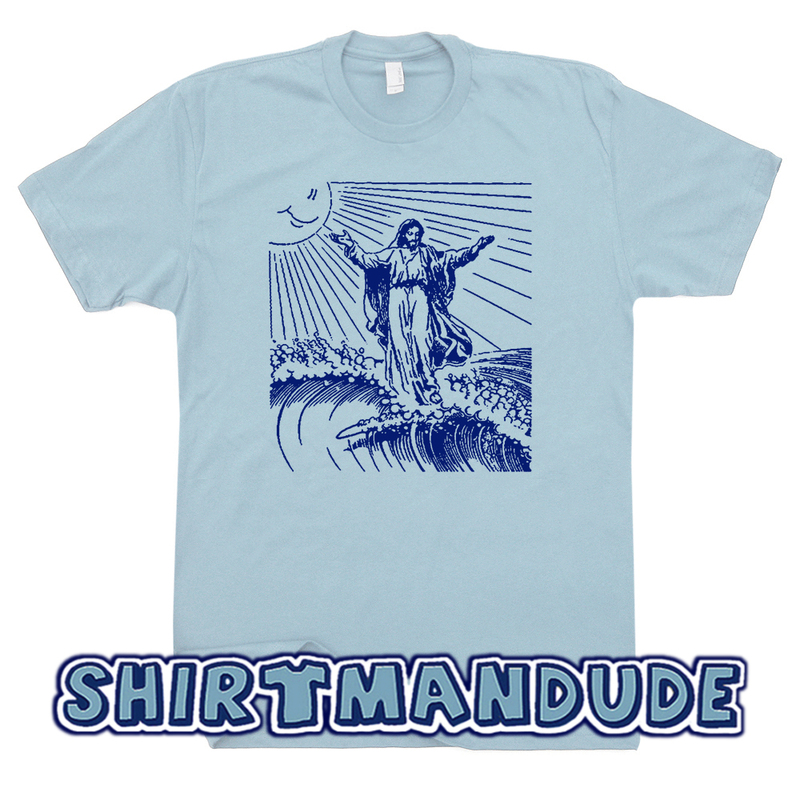 Retro surfer shirts for men women and kids. 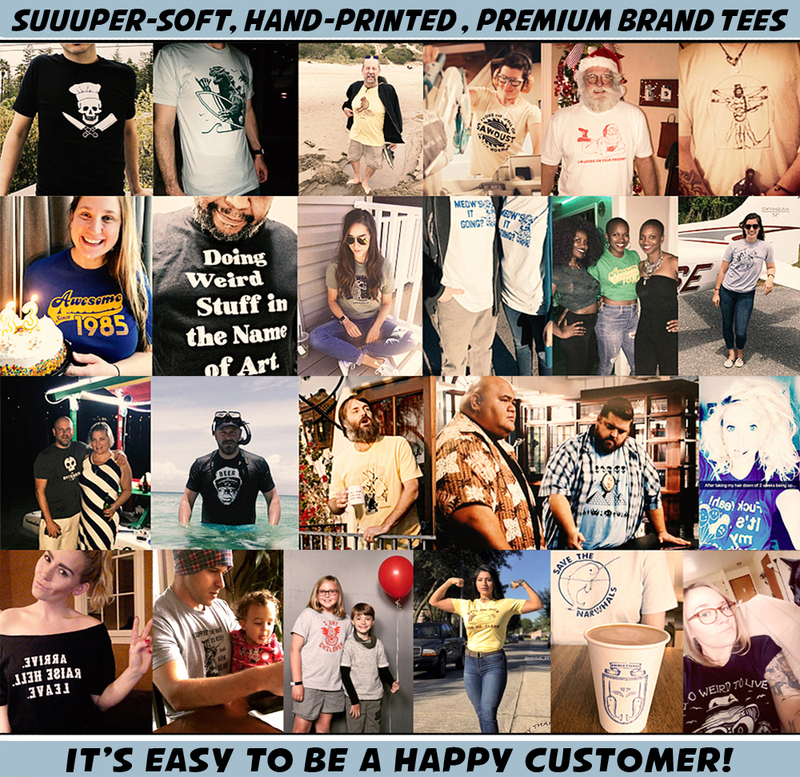 We have funny t shirts you won't find anywhere else.